She's Fantastic: 3.75" Marvel Legends - JESSICA JONES (as JEWEL)! 3.75" Marvel Legends - JESSICA JONES (as JEWEL)! It seems that whenever a Marvel-based movie or television show includes a character, no matter how obscure, Hasbro will find a way to produce a comic figure. When reading Alias almost two decades ago, I always thought a Jewel action figure would be awesome, but I immediately knew it was probably the most unlikely wishlist item I had. Jewel was created to be the cheesy embarrassing foray into heroics that the gritty no-nonsense Jessica Jones was trying to forget about. 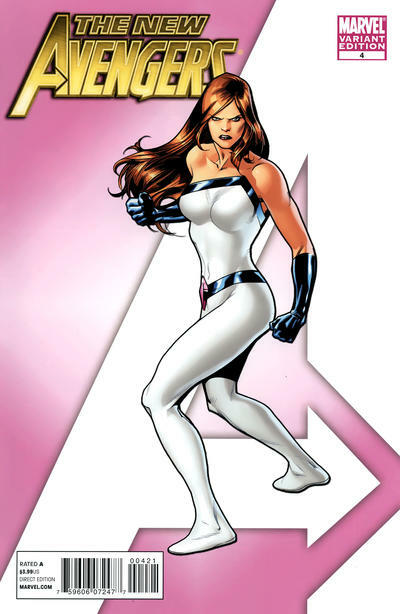 The original concept for Alias was to star Jessica Drew (aka Spider-Woman), but eventually evolved into an all-new character. 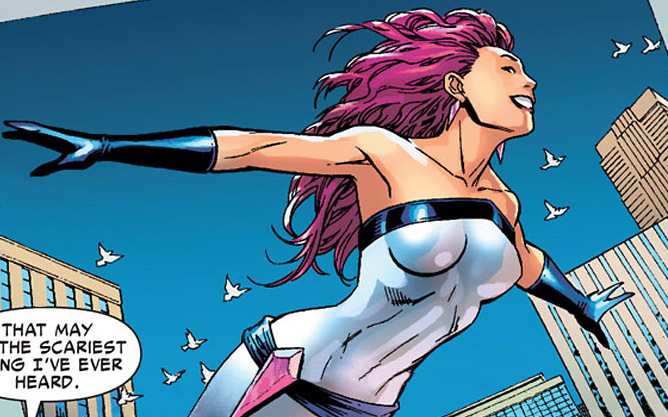 I'm glad it did because the pink-haired flying hero in Jessica Jone's past is a key (contradictory) component to her morose detective life. Having a past life as Spider-Woman (who has always been pretty cool imo) wouldn't have had the same impact at all. But the thing is, I love cheesy bright characters, so it kind of backfired anyway. This toy is great. And I can't wait to get the 6" version next month. Let's her out below!